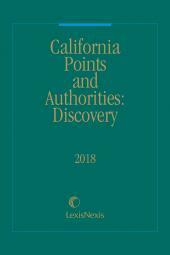 California Points and Authorities: Discovery provides forms that combine concise arguments of the law with accurate summaries of supporting statutes, cases, and rules for use in civil discovery motions and disputes. 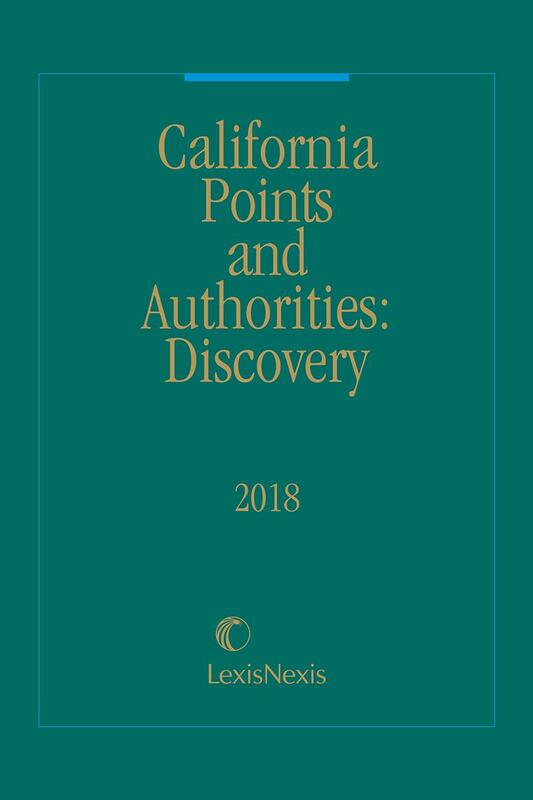 California Points and Authorities: Discovery is a unique publication designed to provide the attorney with the most up to date statutes, cases, and rules to cover their discovery-related law and motion arguments. It also advises the attorney of the probable counter arguments and cases which their opponent is likely to use, so that the attorney can anticipate arguments and be prepared with appropriate responses. 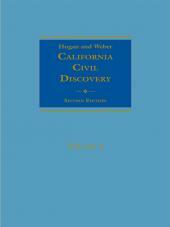 California Points and Authorities can help the attorney quickly dispense with some of the more fundamental points they need to state as a predicate to the novel and more difficult arguments that are the ones on which they would almost certainly rather be spending their valuable time and talent. 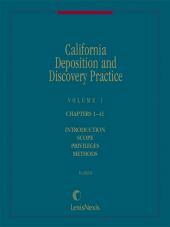 The material is entirely derived from the larger publication, California Points and Authority. 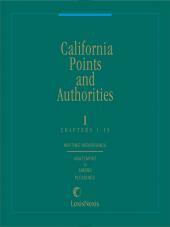 Material in this publication is also published in Volume 8 of California Points and Authorities.